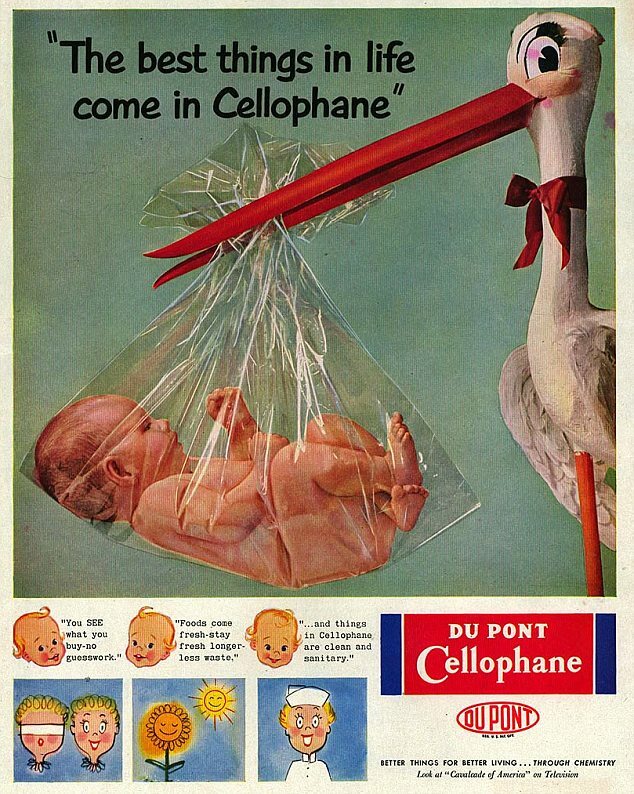 Cellophane was a novelty once, and Du Pont pushed very hard to propagate the ‘cellophane’ idea, and were convinced that the way to reach households is through housewives, and the way to reach housewives is through baby imagery. 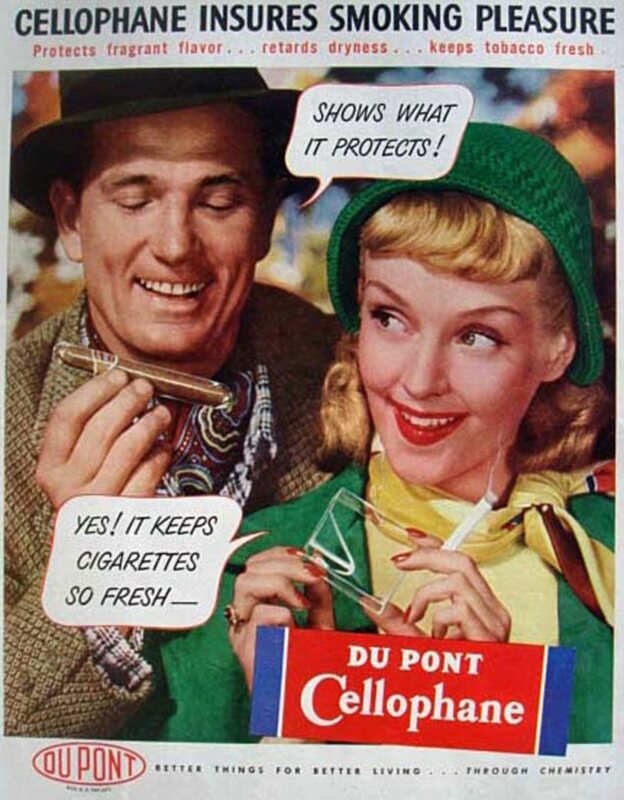 Babies, condom analogies and appeals to clothesline snatchers. A lesson in why it may not be such a good idea to push too hard. Take a look. 1930-1950. “Better Things for Better Living…Through Chemistry”. I hate insensitive greedy advertising! Like looking at hand made retro posters – old world charm. trust me, things have not changed at all. We have evolved into something worse. seen the fairness creams for men ads? hahahA. Although both are solid surface, is there a difference in quality, price, etc? I am planning to use them for my kitchen top. The lesson is – Never trust Dupont and the likes. Advertising is mind manipulation nothing esle. Ewww! 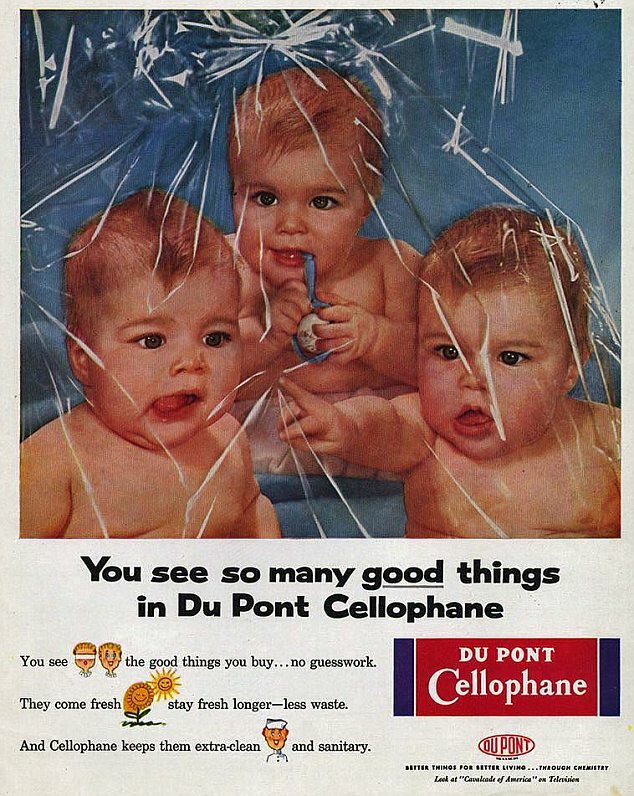 Frightening posters of babies wrapped in cellophane. What were they thinking???! advertisements are really by the stupid for the stupid. 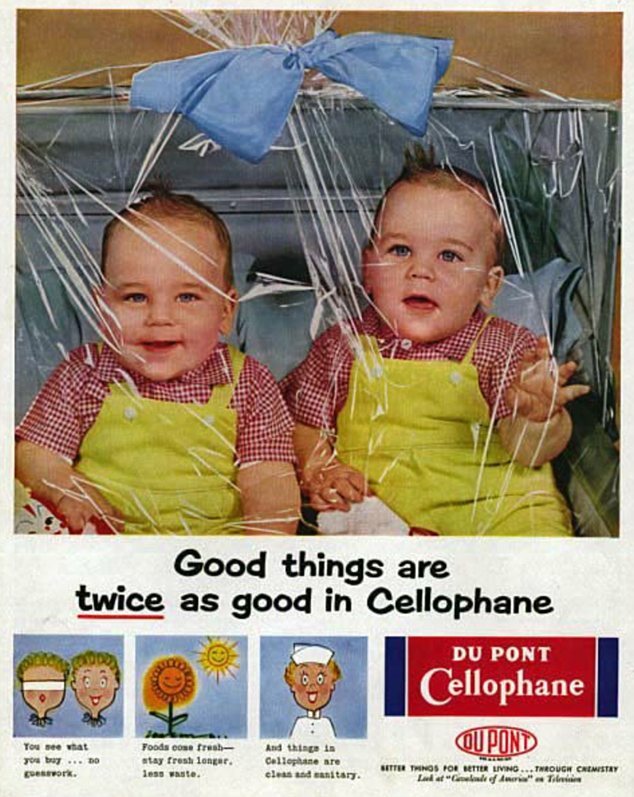 Cellophane babies OMG. The advertising controllers actually approved this..? or was there there no advertising codes then..?? The capitalist way is prblematic, is it still not clear, world? These are great time capsules! 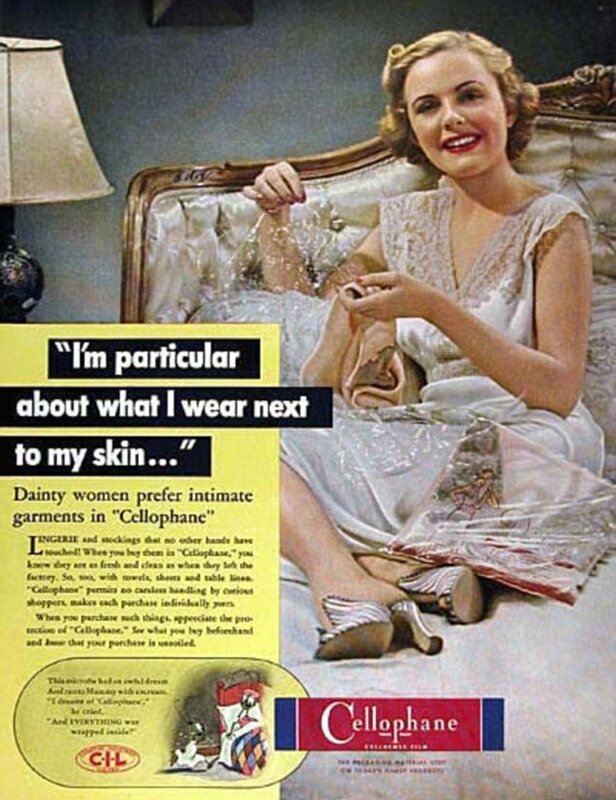 Imagine how idiotic our present advertising is … I mean look around us.